The Pioneer TS-D65C 6.5″ 2-Way Component Speaker System is a result of Pioneer’s automotive loudspeaker engineering experience and expertise, combining advanced design techniques with highly developed manufacturing capabilities. 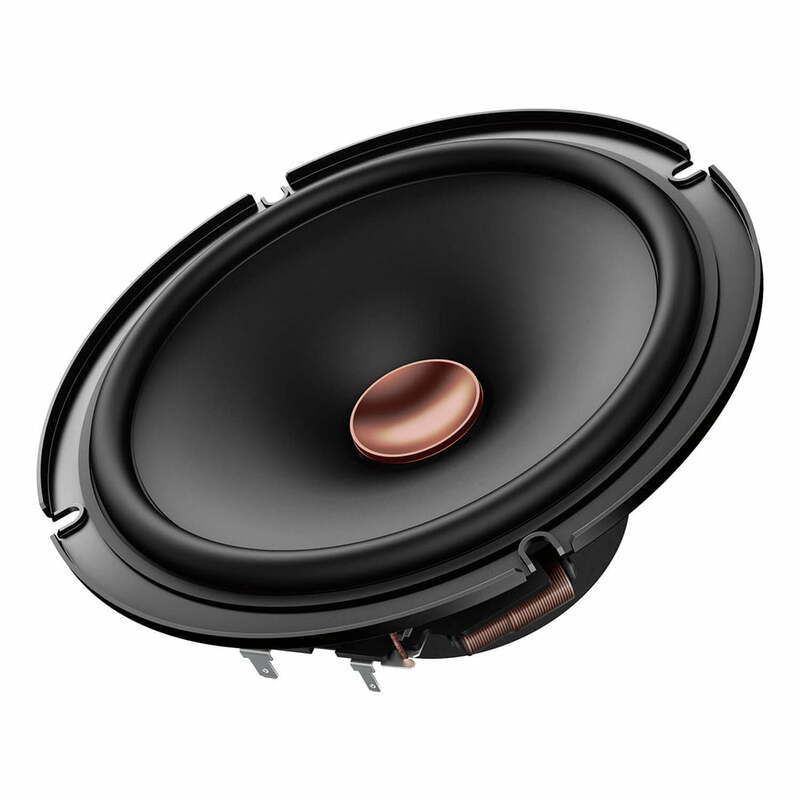 Following Pioneer’s OPEN & SMOOTH sound concept, the D series of automotive loud speakers provides broad and balanced frequency response with a wide sound stage, ambience and amazing fidelity for the listener. Contoured from lightweight, resin-impregnated fibers of coated polyester fabric, the Pioneer TS-D65C 6.5″ 2-Way Component Speaker System tweeter delivers extended high frequency performance. The 26mm diaphragm is extremely resistant to the harsh environmental conditions of the automotive interior (temperature, humidity, vibration, etc. ), while maintaining its uniform hemispherical shape to reduce dome breakup due to excessive vibration at ultrasonic frequencies. The result is exceptionally low distortion levels and a smooth, natural sound. Polypropylene (PP) is a tough thermoplastic resin, ideal material for a speaker cone. The low mass and high damping of a PP cone generate good sensitivity and low distortion. However, polypropylene cones lack the rigidity and strength required for high output and extreme low bass. To resolve this, Pioneer engineers used advanced Computer-Aided Manufacturing to develop a process to blend aramid fibers into the polypropylene resin during the injection molding process. The resulting aramid fiber interlaced IMPP cone is ultra-thin and low mass with high rigidity and superior strength, built to produce natural, detailed sound with deep and powerful bass. 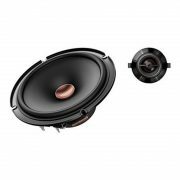 The Pioneer TS-D65C 6.5″ 2-Way Component Speaker System utilize the same unique swivel mount as the Z component speakers to ensure optimal tweeter placement and a superior listening experience. The Pioneer TS-D65C 6.5″ 2-Way Component Speaker System have the full range speakers that are designed with a universal woofer basket to expand installation flexibility for maximum bass and sound quality. Pioneer Canada Limited Warranty 1 Year Parts and Labour.